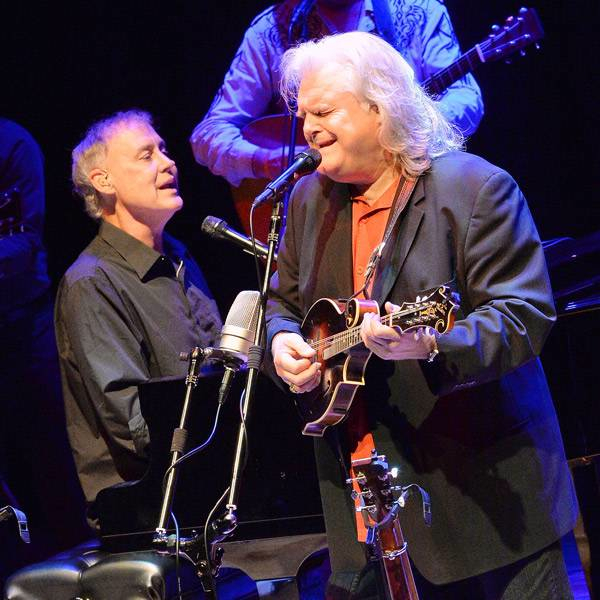 Ricky Skaggs will be headlining the 3rd Annual Outer Banks Bluegrass Festival Saturday, September 27. Pictured here performing with Bruce Hornsby. Everyone wants to find that one thing in their life that is the perfect fit for who they are and what they want to do with their lives. Cory Hemilright, the founder and organizer of the Outer Banks Bluegrass Festival is one of those people. Sometimes life has a way of creating a circumstance that allows dreams to come true. The circumstance that brought Cory back to the Outer Banks began when his mother was diagnosed with breast cancer. “She’s doing fine now,” he says. But he didn’t care for what he was doing in Tennessee and it made the decision to come home easier. “I needed to move back to the Outer Banks and spend time with Mom,” he said. The dream of bringing bluegrass to the beach would not go away, though, and three years ago, he took the plunge. Now in its third year, the festival has gotten bigger every time. The Saturday headliner this year will be Ricky Skaggs, a master of the mandolin and other instruments. Rhonda Vincent and the Rage will be back for the third year on Friday night, headlining the show for the evening. Writer’s notes about the festival: The diversity and skill of the musicians in the lineup is remarkable. Throw out preconceived notions of what you think bluegrass is. These are remarkably skilled musicians who choose to play bluegrass and because of their skill and experience, they will push the envelope on compositions and arrangements. The 3rd Annual Outer Banks Bluegrass Festival is Thursday, September 25 through Sunday, September 28. Tickets are $40/day or $110 for a four day pass. Looking at the talent coming to the Outer Banks, this may be the best music value around. According to Cory, Friday and Saturday are almost sold out, so order tickets as soon as possible. Next story An End to Sparring over the Bonner Bridge? Previous story Hail to the Queen. Bee, That Is.